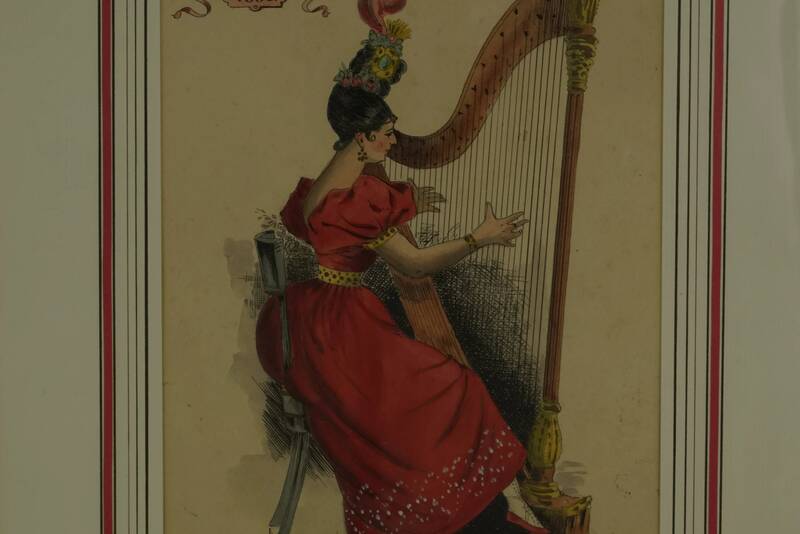 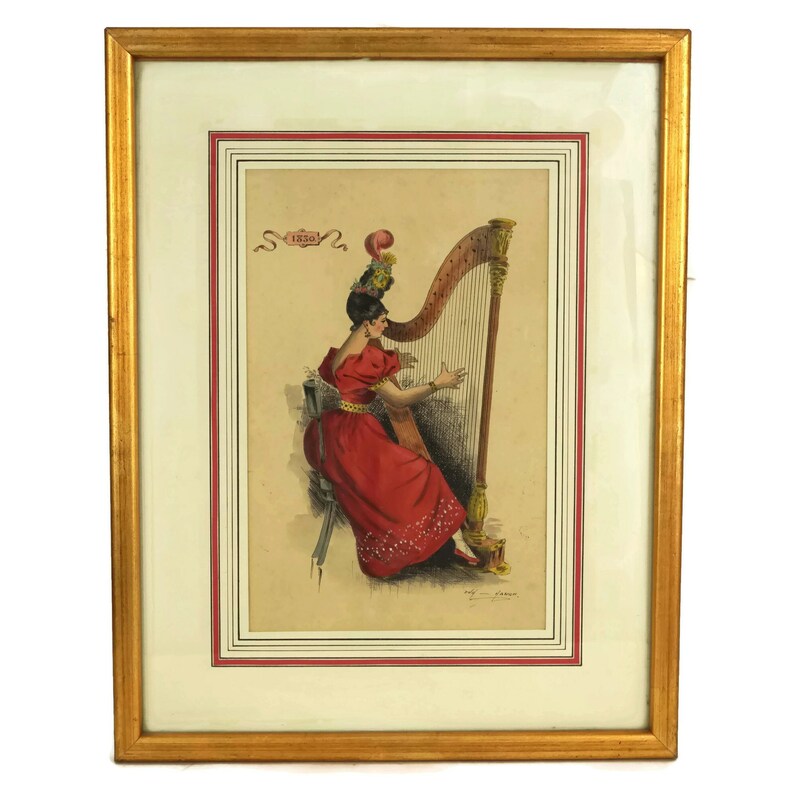 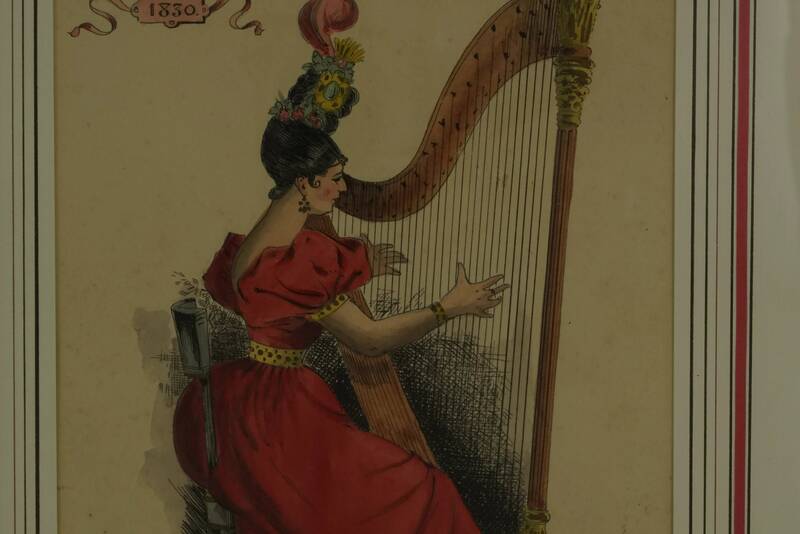 An enchanting antique drawing of a lady harp player dating from the early 1800's. 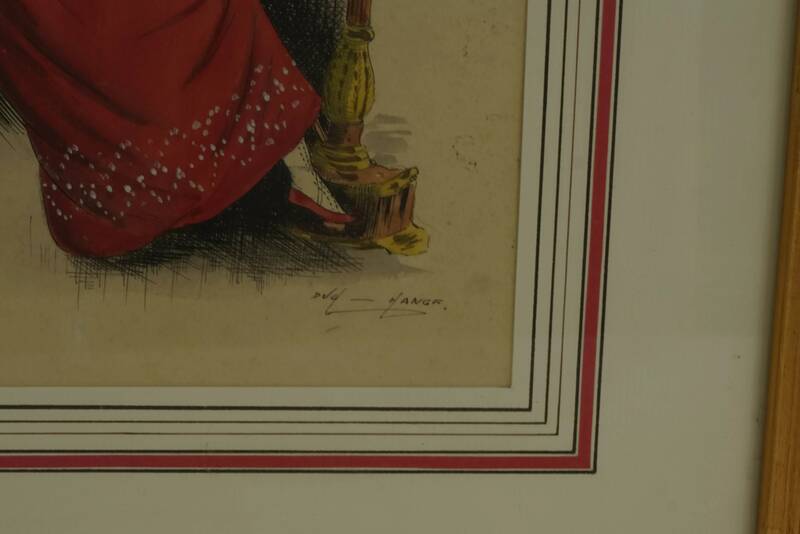 The original illustration has been drawn in pink and ink and beautifully colored with watercolors. 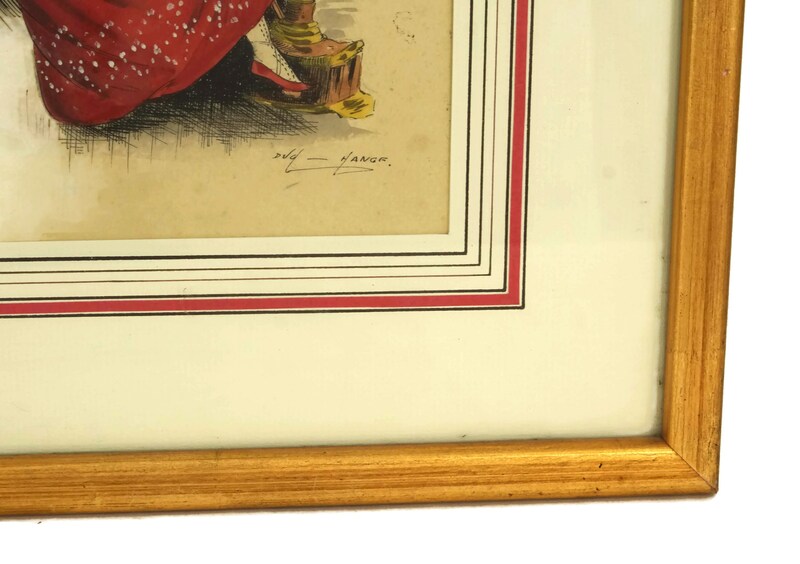 The drawing has been framed under glass in a gold-tone wooden frame with a hand colored mat board. 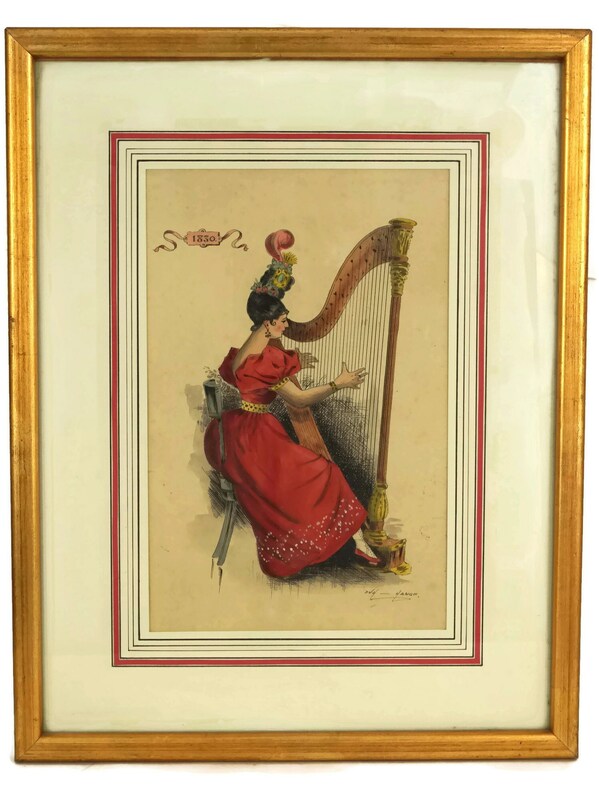 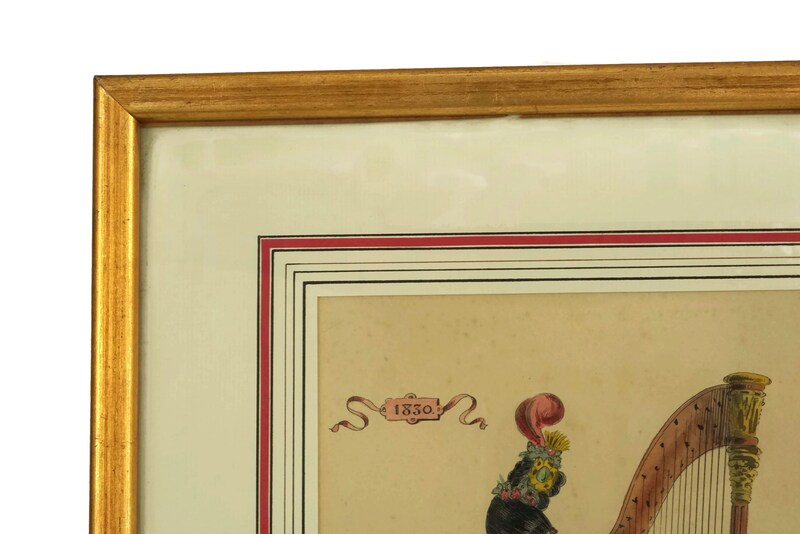 It has been dated 1830 and features the signature of the artist David Hange. 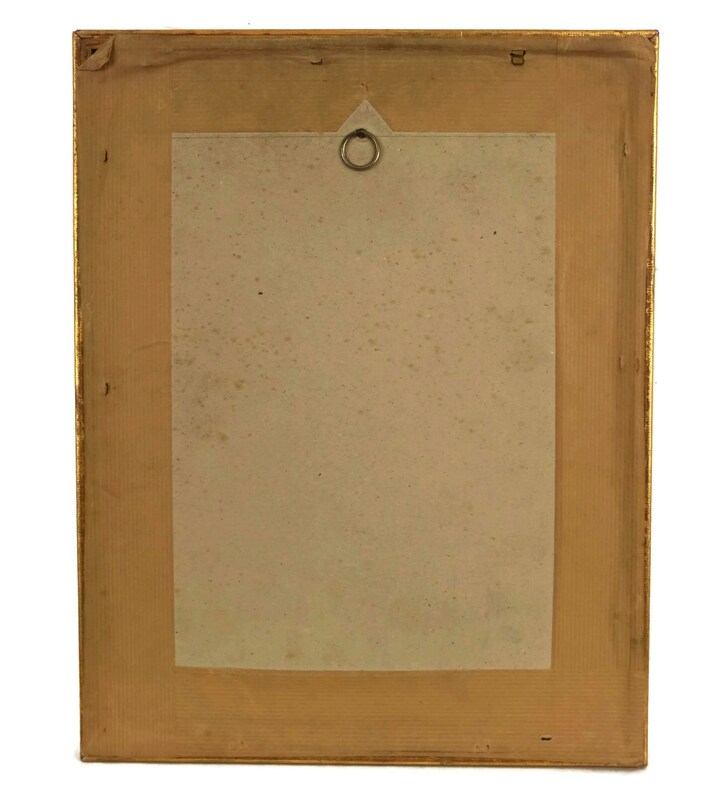 The reverse side of the frame has a hanging hook. 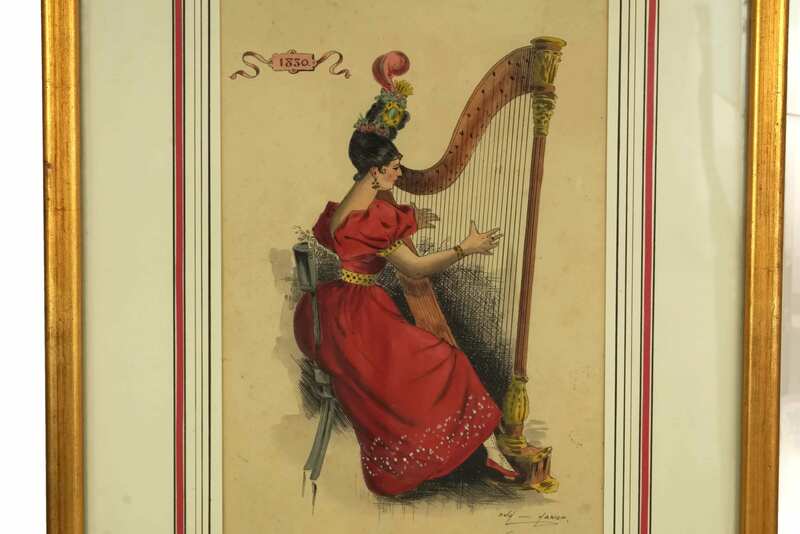 (37 cm x 29 cm). 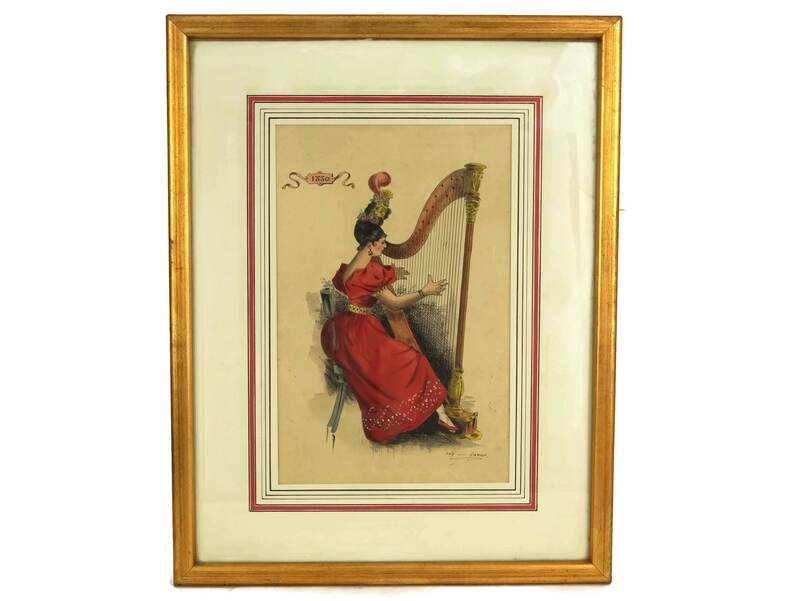 The antique music player portrait painting is in excellent condition with some light age marks and spots to the paper.